State Hwy 8, 10 miles E of Steelville. 90 min to St. Louis. In the heart of the Ozarks, breathtaking scenery, complete family vacation resort. SETTING: Rural, level, wooded, shaded open, grassy. RV: 91 sites: 44 full hookup, 47 W/E, 30/50 amp. LODG: 6 A-frames, 8 cabins, 2 Eagles Nest Cabins, 10 motel rooms, 2 farmhouses, Dry Creek Den, and Huzzah Haven, Vista View. SITES: Picnic tables, BBQ grill, fire rings, many riverside. FAC: 3 total bath houses (2 handicapped), laundry, group area, 4 pavilions. SVCS: Gift shop, convenience store, snack bar. RENTALS: Horse, canoe, raft, tube, kayaks, shuttle your vessel or vehicle. REC: Natural swimming, river, kayaking, canoeing, rafting, tubing, hiking trails, walking paths, v-ball, horseback riding, trail rides, kiddie ride. Select Region from map below. 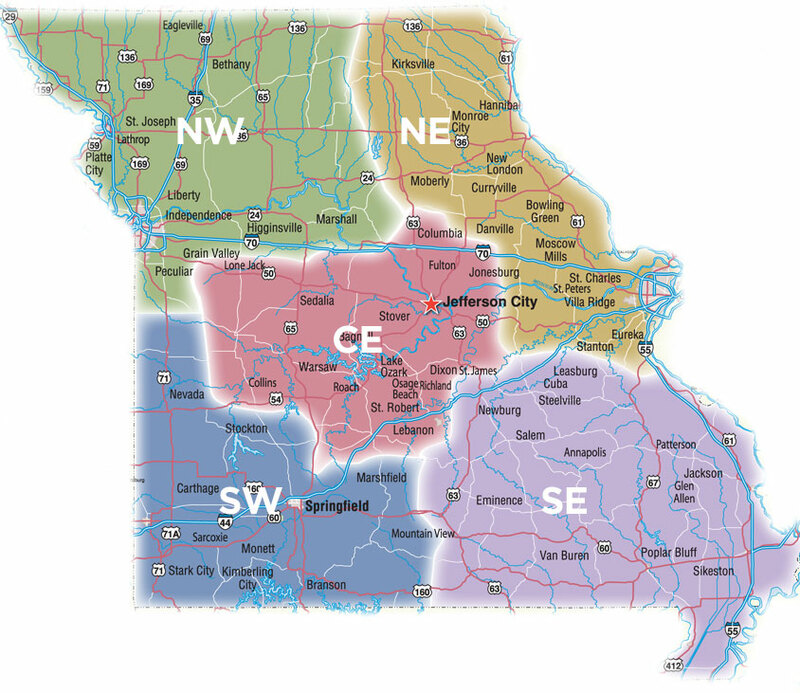 Copyright ©2019 Missouri Association of RV Parks and Campgrounds. All Rights Reserved, any Redistribution of any Materials herein is strictly prohibited. Site Hosted by TXAD Internet.